- Ultraviolet (UV) radiation from sunlight has been associated with multiple age-related eye problems, including cataracts and macular degeneration. The more exposure you've had to the sun's harmful UV rays during your lifetime, the more at risk you are for these sight-threatening conditions, making it all the more important to start protecting eyes early. - Because children tend to spend more time outdoors than most adults, some experts say nearly half of a person's lifetime exposure to ultraviolet radiation can take place by age 18. - Children are more susceptible to retinal damage from UV rays because the lens inside a child's eye is clearer than an adult lens, enabling more UV to penetrate deep into the eye. - Look for sunglasses that offer 100% protection from both UVA and UVB rays. Make sure the percentage is stated, as simply "blocks UV rays" does not guarantee protection. - The best lenses for kids sunglasses are made from polycarbonate which are up to ten times more impact-resistant than standard plastic lenses. Great for active kids! - The frame should be made of a flexible material that won’t break when bent or twisted. Or choose a pair with an elastic band that keeps the glasses on your child’s head. These are particularly useful with young babies. 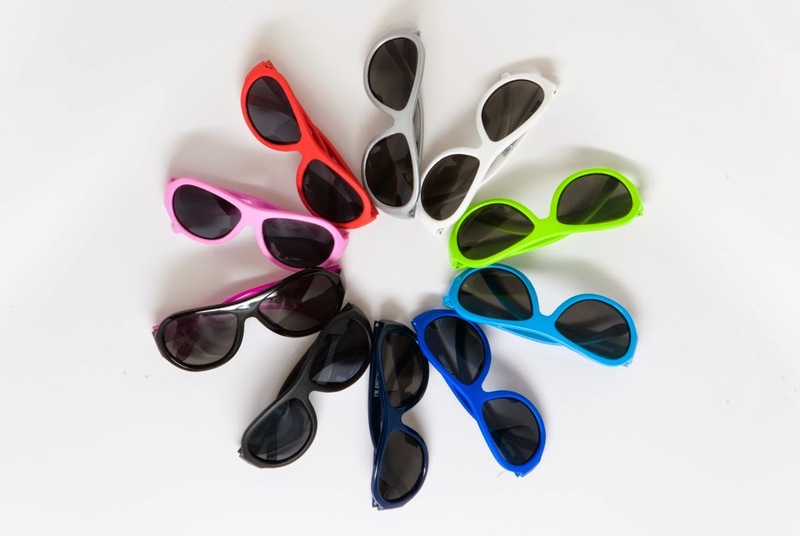 Sunglasses shouldn't just be worn on sunny days, as the sun’s UV rays can penetrate cloud cover. And of course, always pair the sunglasses with a wide brimmed hat, and sunscreen when safe, for the ultimate sun protection. At Kids Trading Company we carry Babiators sunglasses for babies to big kids.